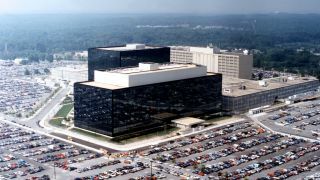 The US National Security Agency (NSA) shut down its bulk phone data collection system yesterday following a deadline set by the passing of the USA Freedom Act. As it currently stands, carriers such as Verizon and AT&T will still have customer phone metadata on hand, such as numbers and call duration. However, the NSA will no longer have nearly unlimited access to this data without first receiving a court order on a per-case basis, similar to a search warrant. Although the Freedom Act has been law for six months, the NSA had a deadline of 11:59PM ET on November 28 in order to transition from its past program to a new one. In addition to requiring permission to access phone data, the NSA must also increase transparency in the form of annual reports detailing how many requests were made. The Freedom Act was originally conceived in 2013 in response to the revelation of NSA programs storing massive amounts of personal data by Edward Snowden in June of that year. A major focus of the act regarded the NSA's phone collection cache program as detailed in Snowden's leaks. Additionally, the passing of the Freedom Act tied into Section 215 of the Patriot Act, a major provision for warrant-less surveillance initiatives, which expired this past summer. The Freedom Act was not met without difficulties: there was showdown in the US Senate over the bill before it underwent revisions. It's still unclear how the new legislation will affect government programs outside of the NSA's phone metadata repository. Other forms of wireless communication surveillance may still go relatively unchanged, as had been the case with the NSA shutting down a web surveillance program in 2011 ... because it found a better way to collect data.